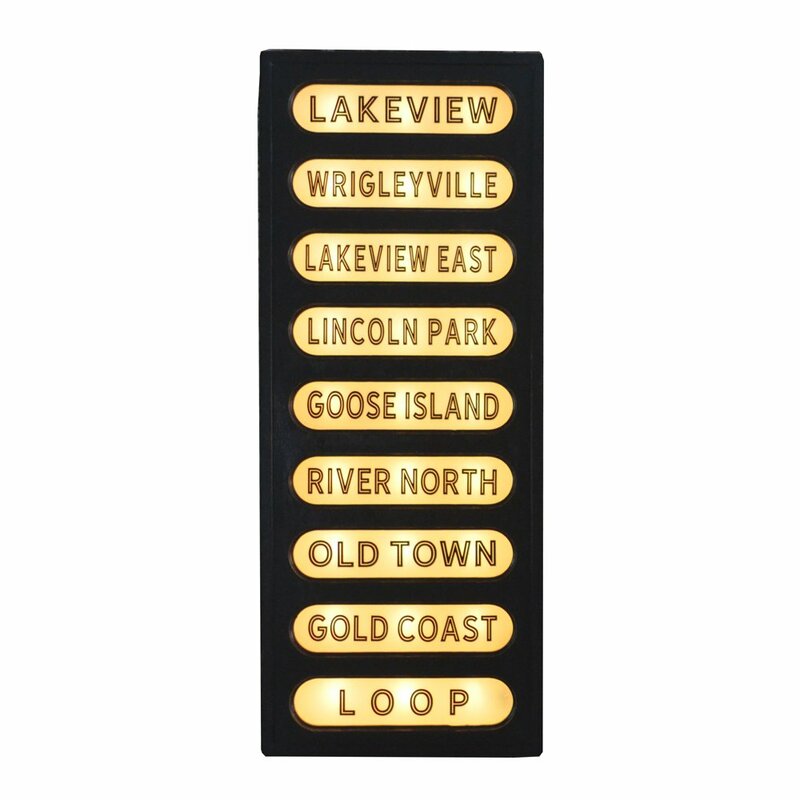 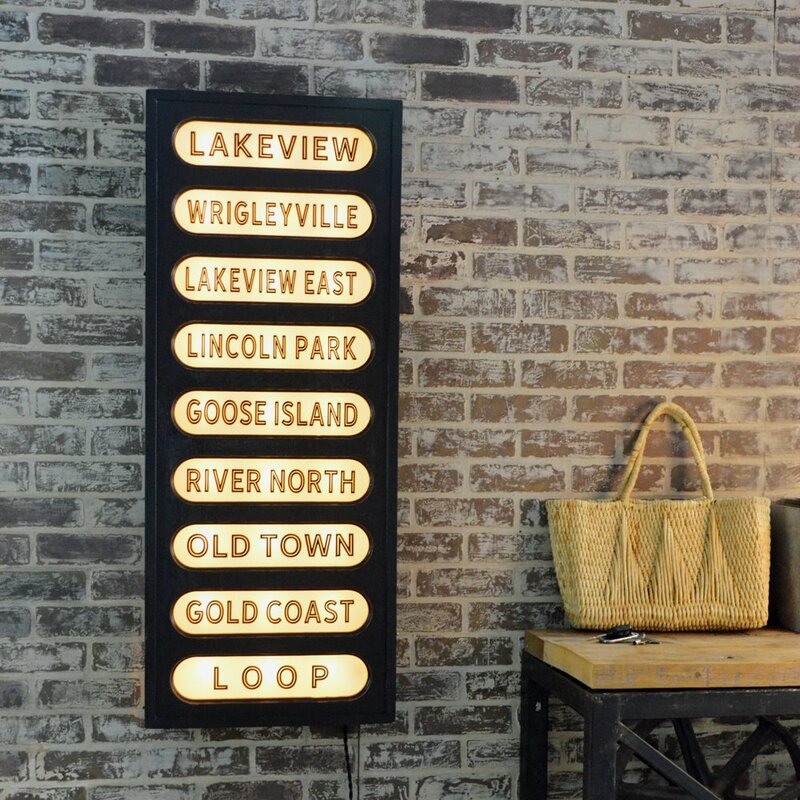 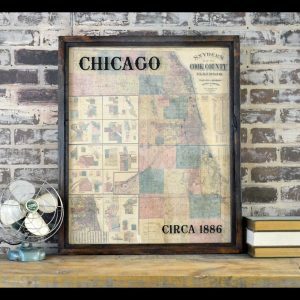 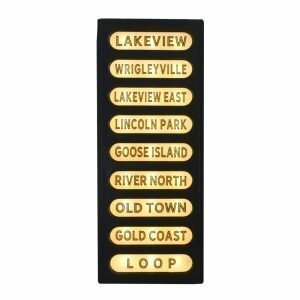 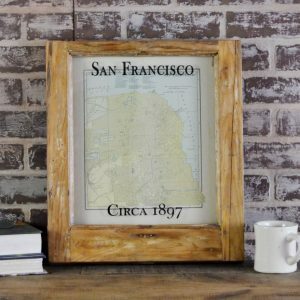 This vintage style train station sign will make a statement in your office, library, or living area! 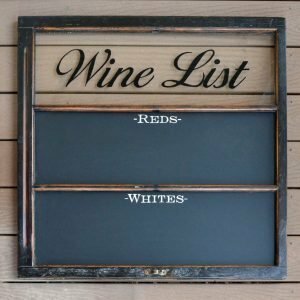 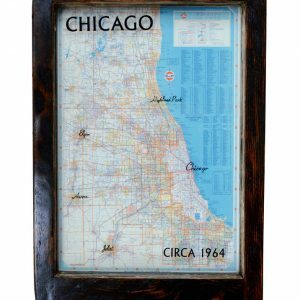 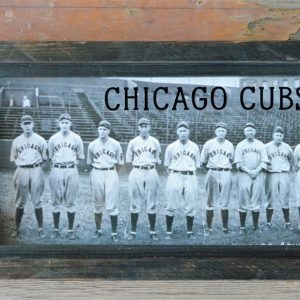 Wood frame finished with an aged black finish holds frosted glass with vintage style lettering. 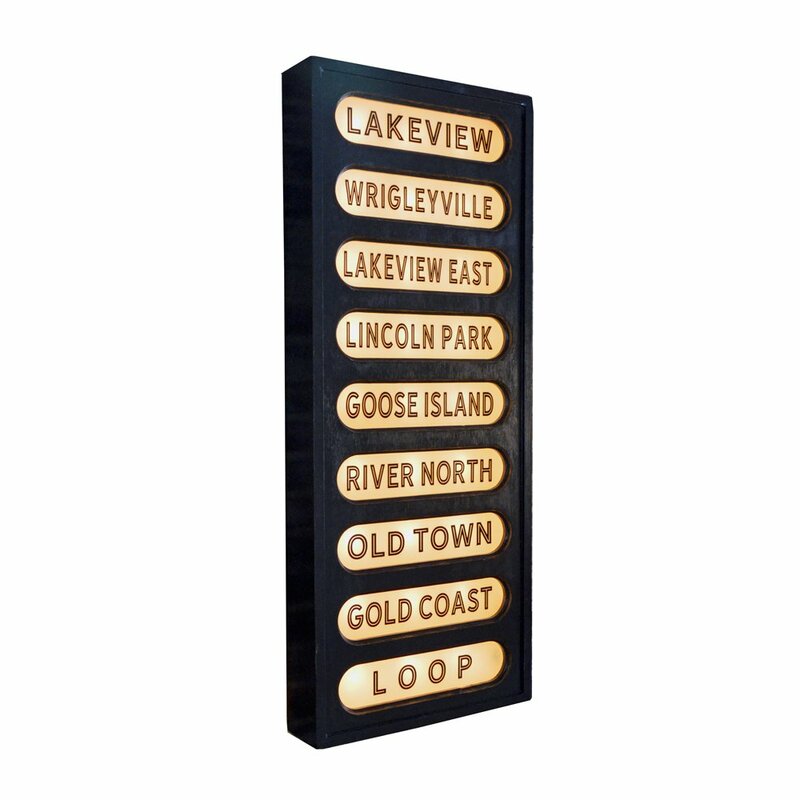 Back removes to access incandescent bulbs with candelabra bases. 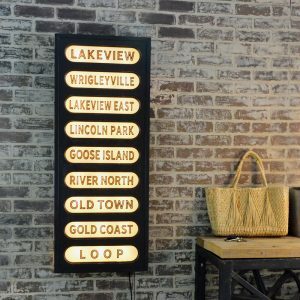 A fun accent for home or office! 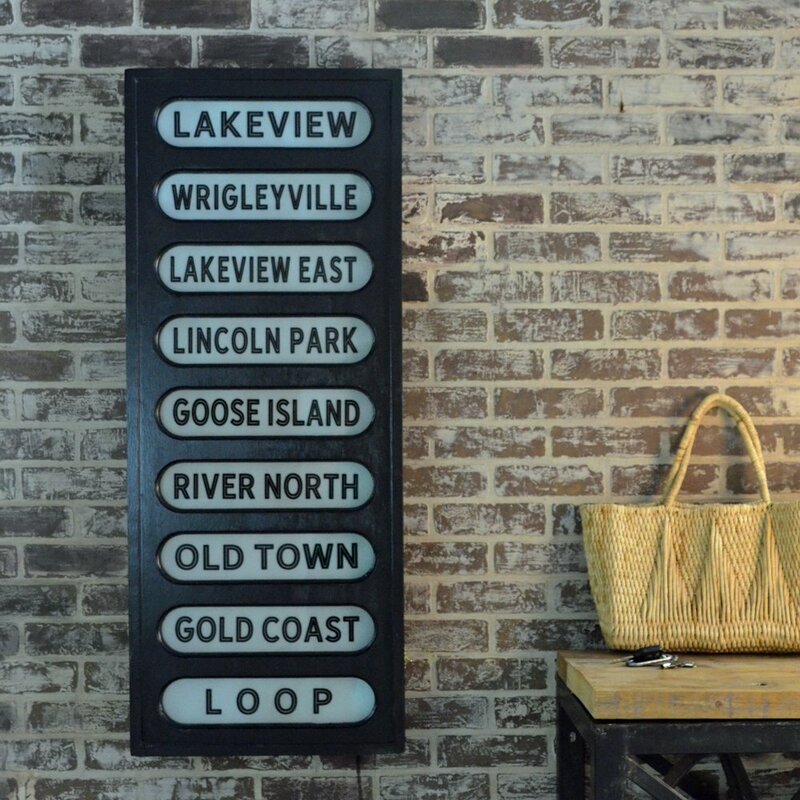 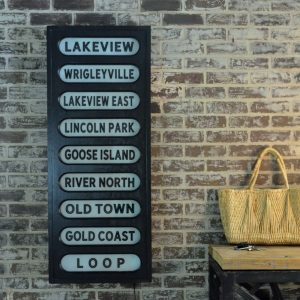 This vintage style train station sign will add a touch of nostalgia to your home decor! 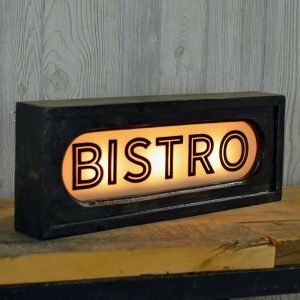 Plugs into a standard outlet, uses 27 candelabra base bulbs (included), 4-5 watt each. 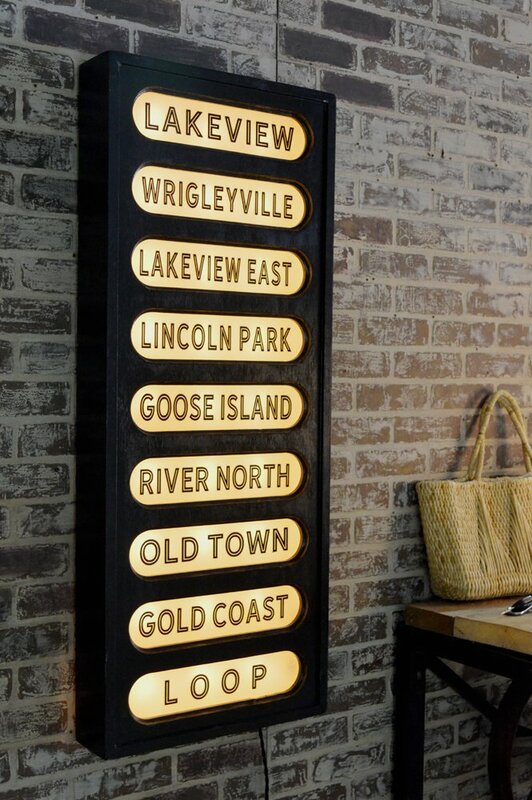 Inspired by old train station signage, this unique art highlights various Chicago neighborhoods. 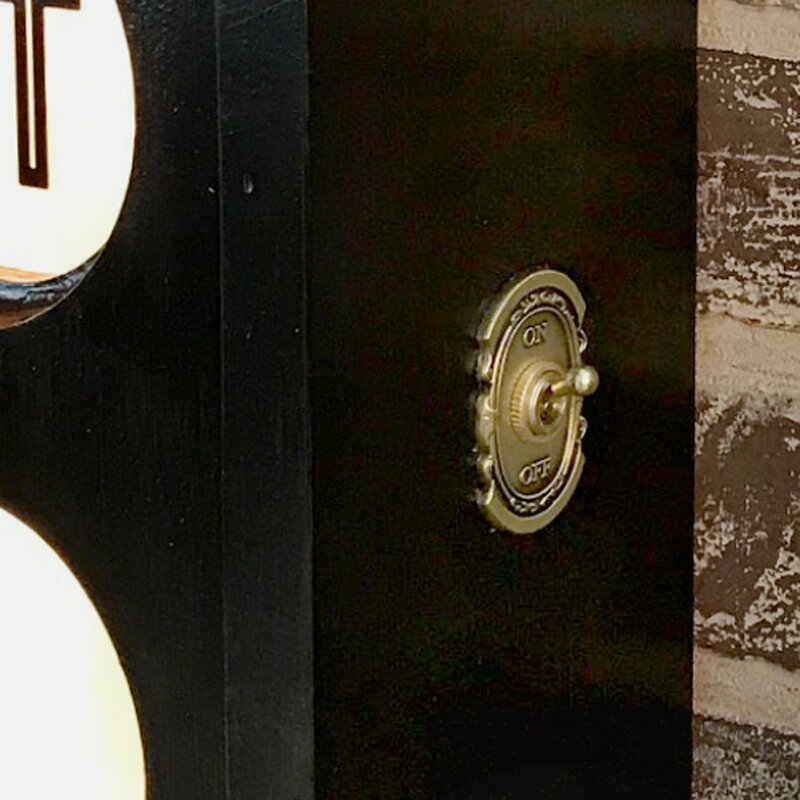 Old style cloth cord (new, designed to look old) plugs into a standard wall outlet – cord length roughly 4-5′.